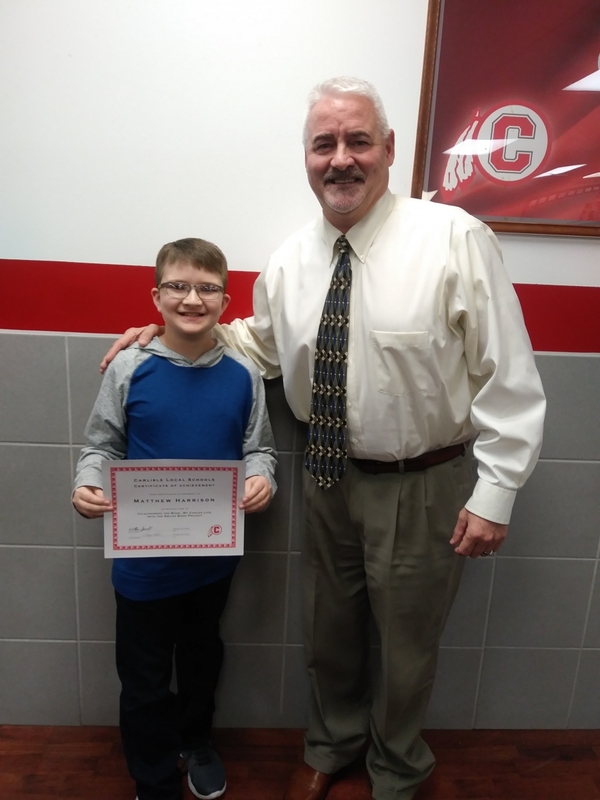 Mr. Turner presented Matthew Harrison with a Certificate of Achievement at the January 28, 2019 Board of Education Meeting. Matthew co-authored a book with the Smile Book Project titled My Cancer Life. Matthew was diagnosed with leukemia in June of 2017. The book shares Matthew's journey as well as giving tips and advice on helping kids who have been diagnosed with cancer.